First, in your Lists Menu, check to see if you have a menu item called Payroll Item List. If you do not have this menu item, then you should follow this link to our help document for instructions on how to enable manual payroll in QuickBooks. You do not need to have a actual paid payroll subscription from Intuit to enable manual payroll. Another alternative is to purchase a payroll subscription from Intuit. Either way, you'll need to enable payroll in your QuickBooks to configure the integration, regardless of whether you intend to actually run your payroll in QuickBooks. Make sure you have at least three payroll items of the Type "Hourly Wage". If you do not have three Payroll Items of the Type "Hourly Wage", you'll need to add them. 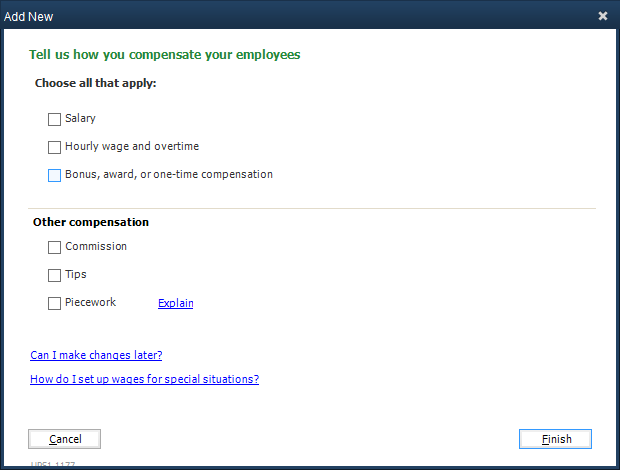 When adding Payroll Items, make sure you select the checkbox for Hourly Wage and Overtime. After confirming you have a minimum of three Payroll Items of Type "Hourly Wage", then run an update of the Web Connector. You can find the Web Connector running in the system tray (aka notifications area) of the computer. 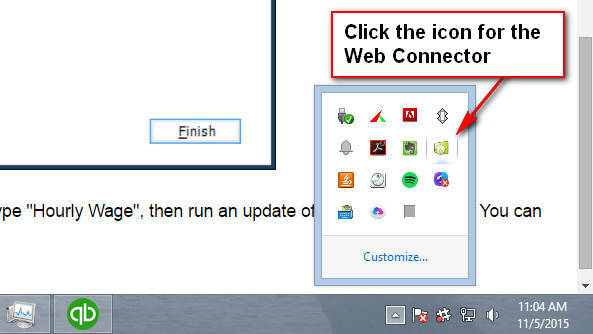 Locate the icon as shown in the screenshot below and then click on it to open the Web Connector. Or you can find the Web Connector and open it via the Task Manager (use Control-Alt-Delete). 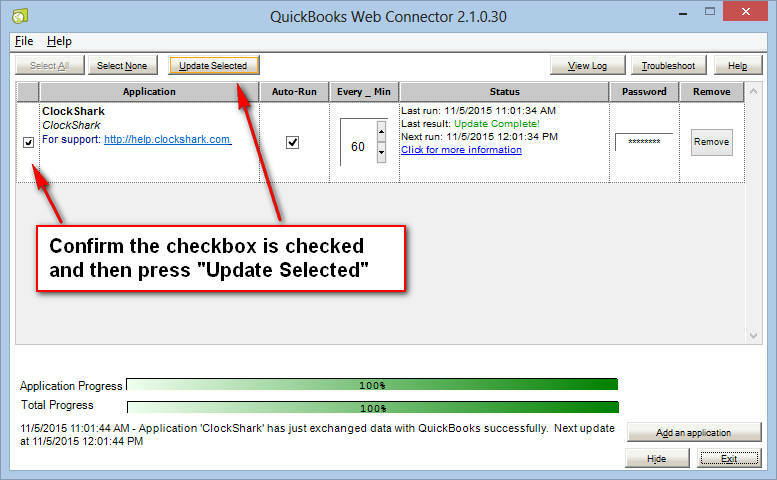 Once you have the Web Connector open, confirm the checkbox for ClockShark is checked and then press the "Update Selected" button to run an update of the Web Connector.